Everyone is welcome to our warm and inviting traditional services. With no membership or reserved seats, our services are open to all. 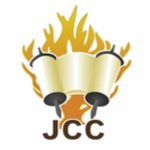 Services at the JCC are open to everyone regardless of their background or affiliation. Children, adults, singles, couples, young and old feel at home. It is just a great place to pray, be inspired and meet new friends. At the JCC we believe that no one should have to pay a membership fee, be registered as a member or pay for a seat, to be able to walk in and sit down in the Synagogue or participate in Jewish life. Our synagogue is not a club! At our open Synagogue anyone can just walk in, sit down and enjoy a warm and inspiring service.